Southview Design is a landscaping contractor with a hard-earned reputation for excellence in landscape design, construction, and service in Minneapolis, St. Paul, the Twin Cities area, and western Wisconsin. Our designers and project managers bring years of landscaping design and construction expertise to the dining room table – helping you create a uniquely personal space that fits your values, budget, personality, and lifestyle. 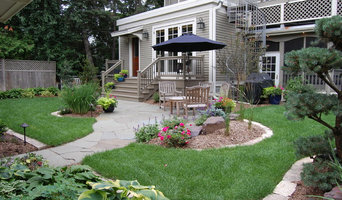 Creating Attractive Landscapes in Dakota County 6x Best of Houzz! Infinite Decks is proud to serve the great state of Minnesota and helping local families improve their quality of life by building quality decks. We have an eye for detail and workmanship. All of our materials are high quality goods. We also specialize in exotic hardwood. All projects are custom created to fit to your need. We pride ourselves on our great customer service and great testimonials. Infinite decks is known for quality and efficiency in the planning design and construction of custom outdoor decks. We work with you from whichever phase you just so happen to be in. From design, material research to installation and completion of your outdoor deck, we do it all. We work with all the best building materials whether its the extreme low maintenance of PVC or the gorgeous exotic hardwoods! All of our customers are left with a deck that is the envy of all their neighbors! From Mark: "Back in school my two favorite and best subjects were Math and Wood Shop. That being said I was aware of what I wanted to be very early in life. Designing and building is my passion. I love adding the details not many can offer in order to set 'Infinite' apart from the rest. I have been working with the Low-Maintenance materials since the the first WPC materials entered the market. I have seen the positives and the negatives as newer products came out and have the experience and knowledge to direct our clients to the best fit material for them. I personally go over every finished project with a fine tooth comb to make sure it is truly an Infinite Deck!" We are the premier deck design and build firm of the Twin Cities. We specialize in the details that make our projects stand out from others. Give us a call today, and lets get working on your next project! The work of this outdoor professional includes most everything surrounding a home's exterior. A landscaping architect can even work with the home architect to choose the right spot for your Rosemount, MN house. From there the Rosemount landscaper will develop preliminary concepts for your front or backyard design based on individual needs including the climate and activities that will take place, as well as layouts and planting plans. Landscape architects will also design any structures or outbuildings that will be added to the space. Any grading changes that will be added to the yard are also the responsibility of the architect. This includes any drainage modifications. An engineer can also be responsible for these tasks, but licensed Minnesota landscapers are fully capable. Like building architects, they will produce preliminary concept drawings as well as detailed construction documents and planting plans. Three-dimensional renderings and illustrative plans are all supplementary. A Rosemount landscaping designer generally will have ecological, aesthetic and technical training, which helps them maximize the potential of your outdoor space. Keeping in mind both style and functionality, garden designers analyze your architecture and yard to produce a plan that may or may not include location and materials for walkways, patios, water features, fences, garden aspects and more. In addition, a landscaper in Rosemount, MN will carefully assess your geographic region to choose plants, trees and flowers that will flourish naturally, as well as address concerns such as drainage, screening and soil conditions. Certain landscape designers only help with the planning portion, while some may deliver the plans and then oversee a hired landscaping contractor. Others — typically following a design-build approach — take care of both the design and all aspects of the landscape architecture and construction. Find a Rosemount landscape architect on Houzz. 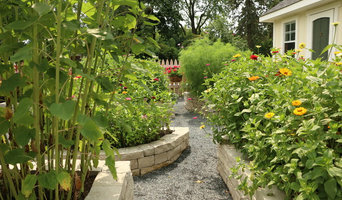 Narrow your search in the Professionals section of the website to Rosemount, MN landscape architects and designers. You can also look through Rosemount, MN photos to find a space you like, then contact the professional who posted the photo.